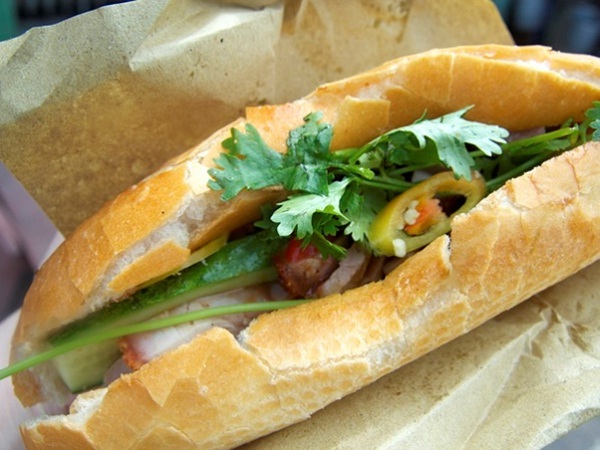 Home / Blog / What makes Vietnamese food so delicious? Shaped like the letter ‘S’ Vietnam is bordered by the South China sea in the east and shares mutual border with Cambodia and Laos in the west, China in the north. 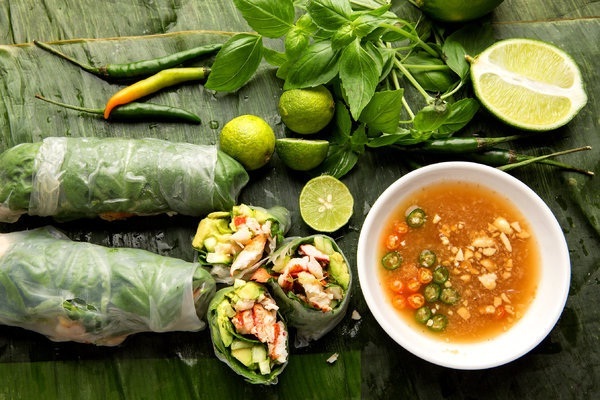 This factor plays an important role in Vietnamese cuisine as the Vietnamese food’s elements of flavor that you can realize are mostly dependent on where you are enjoying in the country. For instance: if you are in the Southern Vietnam, you can see that food here is influenced by Cambodian and Thai cuisine while dishes in the Northern Vietnam is influenced by the Chinese culture with many kinds of noodle-based soups and stir fries. Coconut groves, rice paddies, and herb gardens are sustained more thanks to the tropical climate. Due to the popular use of more palm sugar in savory dishes, the food in Southern Vietnam is usually much sweeter. However, no matter where you make your way to throughout this exotic country, fish sauce and rice are the two universal themes you will find. 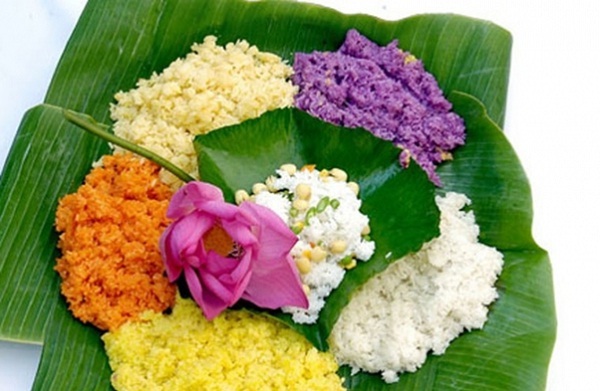 In fact, having rice for breakfast, lunch, dinner, and desert is not uncommon in the eating culture of people here. 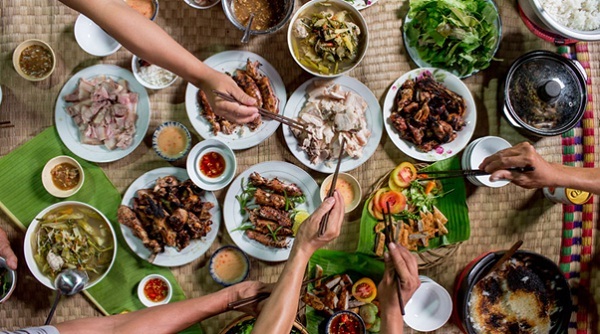 Not only influenced by other neighboring countries’ cuisine, Vietnamese cuisine and culture are also profited from the presence of many ethnic communities and multiple religious beliefs. In term of nutrition, Vietnamese food which usually features vegetables cooked just perfectly will not make you disappointed. To go with the food, you will also have the special spices and herbs together with cinnamon, star anise and cloves. It is these fragrant elements of the fresh herbs and fish sauce that play an essential part in just about every dish in the canon of Vietnamese cuisine. Some would think of Vietnamese food as the simple one, and it typically is, but never depressed. Each dish must really create its own bottled aroma. Deriving its flavor from vegetable and herbs rather than being fried long time in oil, making it pretty light but still savory is what makes Vietnamese food stand out. Among many other ethnic cuisines making use of herbs, Vietnamese cuisine is the most outstanding for its plentiful and frequent use of many exotic and unique kinds of herbs. Thanks to the utilization of these herbs, Vietnamese food has unique fragrance, flavors and textures and overall freshness.